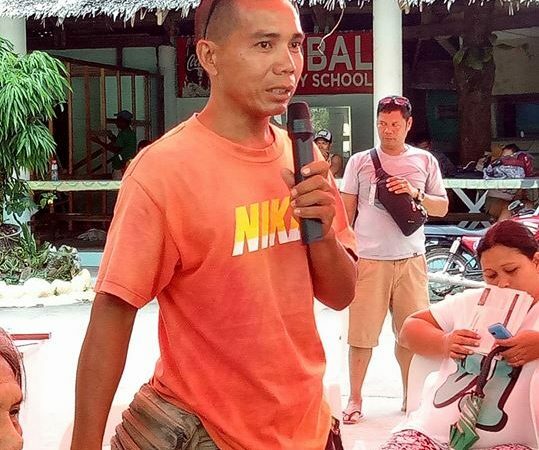 Residents and workers of the Philippines’ Boracay island  are speaking out against the government’s order to shut down  the world-famous resort destination for six months in order to carry out renovation work that includes the upgrade of the island's obsolete sewerage system. 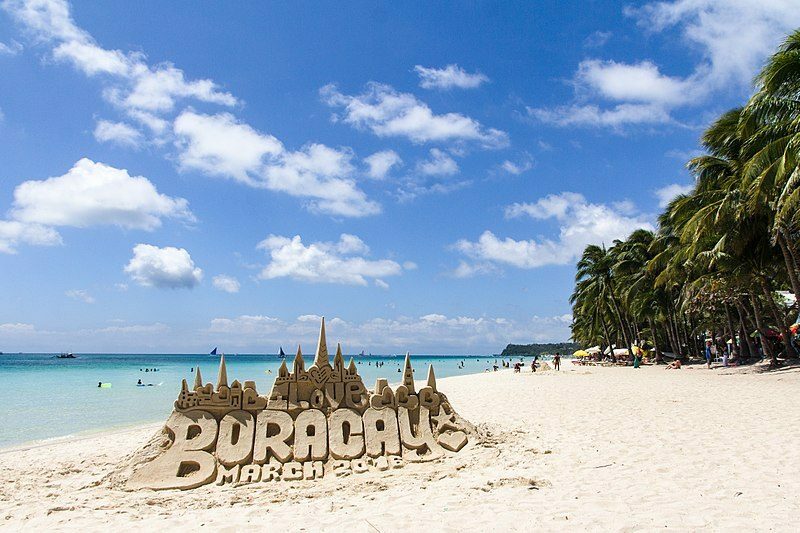 With the signing  of Presidential Proclamation 475 on April 26, 2018, the country's president, Rodrigo Duterte, placed Boracay under a state of calamity — a move which formalized the tourist island’s temporary closure , and which several groups are petitioning  the court to invalidate. Appellants at the Supreme Court questioned  the constitutionality of what they deemed to be an arbitrary decision by the president. They also sought a temporary restraining order on the closure and eviction of businesses on the island. Authorities have justified the shutdown as part of its efforts to purportedly “rehabilitate” the island amidst environmental woes. But after it was reported that the government had initially approved  the construction of two mega casinos  on Boracay, many people questioned this rationale. Still, the closure has been pushed without any prior master plan  for rehabilitation, or any strategy to minimize its effects on the livelihood of those who live and work on Boracay, many of whom will be forced to relocate. The massive lay-offs have already affected  thousands of workers. The Friends of Boracay  Facebook page highlighted the negative effects of the shutdown on people's lives — and livelihoods. These online testimonies have been included in the statements gathered by civil society organizations during a fact-finding and solidarity mission they conducted in and around Boracay and Aklan province between April 16-19, 2018. 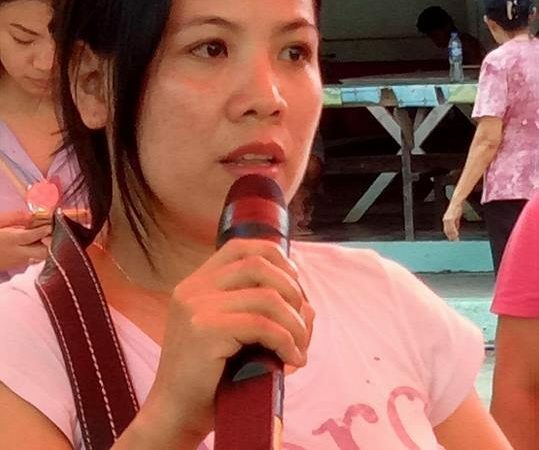 Some of these organizations include Bayan-Aklan, Friends of Boracay , Tabang Aklan Action Center, Gabriela Panay-Guimaras , The Center for Environmental Concerns , the Iloilo Pride Team , and the National Union of People’s Lawyers . Photo credits: Friends of Boracay. Used with permission. Boracay Tour Guide ako. 11 years na ako sa Boracay. Masakit ang nangyayari sa amin; 2000 kaming mga tour guides. Wala kaming regular na sahod dahil commission basis lang kami. Pumunta ako sa DOLE dahil may closure. May SSS ako at 6 years na akong may contribution. Nagtanong ako kung pwedeng mag apply ng calamity loan, para lang may pangkain, budget. Sa Wetland ako nakikitira sa barong- barong. 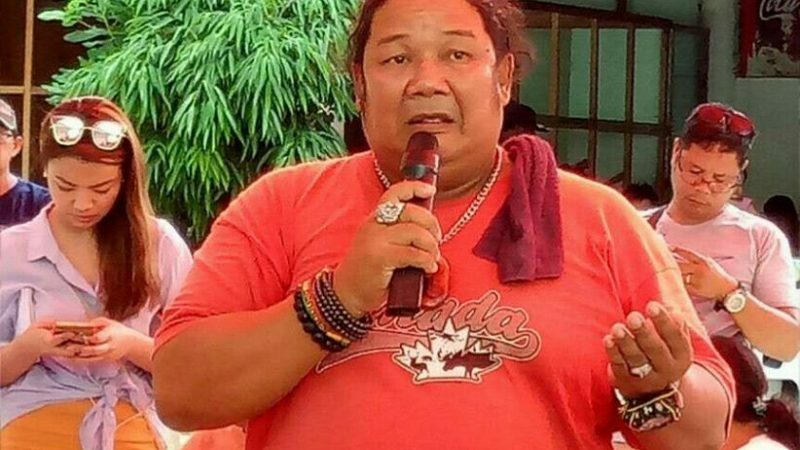 Ang tanong namin, may ipapalit bang trabaho? Nakatenga kami, araw araw kaming kumakain may tatlo akong anak at pinapadalhan ko sila sa Bacolod. Kailangan namin ng financial assistance. I am a Boracay tour guide. I have been in Boracay for 11 years. What’s happening to us is very painful; there are 2,000 of us tour guides. We have no regular wages because we work only on a commission basis. I went to the Labor Department because of the closure. I have social security, which I have been contributing to for six years. I asked if I can apply for a calamity loan, just so I have a budget for food. I live in a cardboard house in the Wetland. Our question is, will there be alternative employment? We are idle, yet we need to eat every day. I have three children and I send them money in Bacolod. We need financial assistance. Sir, gusto ko ikwento ang ginagawa sa amin dito. Sinerbihan kami bg DENR ng Show Cause Order at Notice to Vacate. At sa pagpunta nila may kasama silang masobra sa 5 na pulis na naka fatigue at kargadang mahahabang baril. NAGPAPANIC NA KAMI DAHIL MAY MGA BATA. At pabalik balik sila sa mga kabahayan. Binigyan lang kami nang 15 days para umalis sa mga bahay namin. Napapatanong kami, Kasama ba kami sa demolition? Wala nang pasahero, ikot ng ikot wala namang kita. May pasahero ako dalawang pulis, narinig kong sabi nila pag may lumaban gagawin nilang susunod na Marawi. Natatakot na kami, wala na nga kaming makain. Bubuldosin kami na parang aso at patutulugin sa lupa? Hindi naman kami lalaban kung i de demolish kami, armado sila. Wala kaming malilipatan. May damdamin kami at takot na takot dahil armado sila. People already don’t have work, yet they still do things through intimidation. Which leads us to ask, are we included in the demolition? There are no more passengers; we go round and round but get no income. Will we be bulldozed like dogs and left to sleep on the ground? Of course, we will not resist if we are demolished, they are heavily armed. We have nowhere to go. We have feelings and we are very afraid because they are armed. Apat na taon na kaming magpipinsan na gumagawa ng sand art. Taga Boracay kami. Hindi kami ang sumisira sa Isla. Ang mga nagpatayo ng mga malalaking building na pinayagan naman ng DENR ang sumira sa Boracay. We cousins have been making sand art for four years. We are from Boracay. We are not destroying the island. Those building the big buildings who were given permits by the [government’s environment ministry] are the ones destroying Boracay. As an advocate for the environment I want it rehabilitated too… BUT I BLEED MORE for the people who are affected by the closure because of lack of planning and foresight on the part of the government in ensuring that safety nets are in place prior to closedown. According to the initial fact-finding and solidarity mission report, 40% of the island’s population have received notices to self-demolish and vacate their residences. These notices came from state employees who were accompanied by heavily-armed policemen, over 600 of which have been deployed  to the island days ahead of its scheduled closure. In response to the outcry, President Duterte has threatened  the permanent closure of Boracay — but workers, residents and their supporters are not backing down. They continue to defend their livelihoods, and oppose the entry of big casinos into the island.